Rupeethon – Charity Marathons. Let's Plays. Livestreams. You. Rupeethon. New Year’s Eve. It’s A Date. 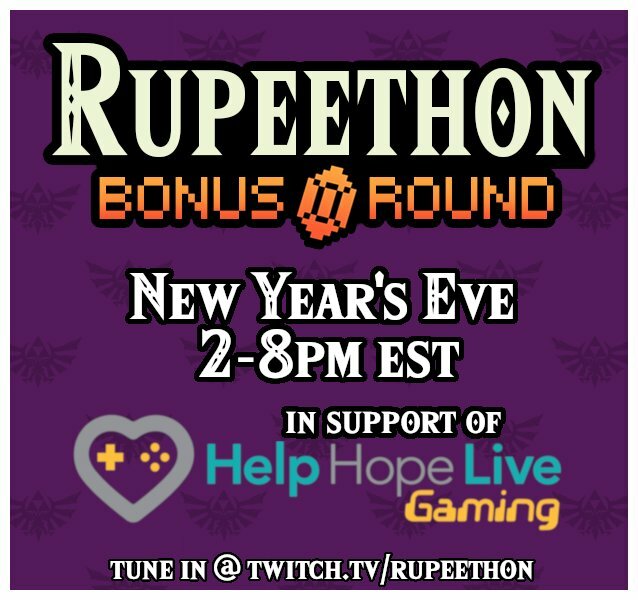 A very special holiday edition of Rupeethon is coming! Tune in Dec. 31st from 2-8PM EST as the crew battles it out in a series of multiplayer games, all for charity! We’ll be posting more details soon! Once again, the time has come. The time where we spend a couple of weeks overhauling our little plot of internet real estate to better showcase what we’ve got in store for our marathon this summer. Such extravagance will include, but not be limited to, challenges, events, prizes and maybe even some new videos. Ooooo Aaaaaaaah.